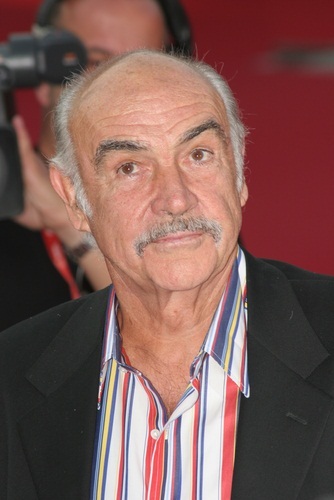 Sean Connery is a Scottish actor and producer. He is known for playing James Bond. He won the Academy Award for Best Supporting Actor for The Untouchables (1987). Sean is the son of Euphemia McBain (McLean) and Joseph Connery. His brother, Neil Connery, is also an actor. Sean is married to painter Micheline Roquebrune. He has a son, actor and director Jason Connery, with his former wife, Australian actress Diane Cilento. Sean was selected People Magazine’s “Sexiest Man Alive” in 1989. He is thus far the only Scottish-born man to have been given this title by the magazine. Sean’s paternal grandfather was Thomas Connery (the son of James Connery and Elizabeth McPhillips). Thomas’s parents were Irish. Sean’s paternal grandmother was Jeannie Lawson “Jean” McNab (the daughter of John McNab and Jeanie Allison). Sean’s grandmother Jeannie was Scottish. John was the son of George McNab and Elizabeth Reid. Sean’s maternal grandfather was Neil McLean/Maclean (the son of John McLean/Maclean and Euphemia McBain). Neil was Scottish, and was born in Edinburgh. John was the son of John McLean/Maclean and Janet Mathieson. Euphemia was the daughter of William McBain and Mary Gourlay. Sean’s maternal grandmother was Helen Forbes Ross (the daughter of John Forbes Ross and Mary Reilly). Helen was Scottish, and was born in Aberfeldy, Grandtully, Perth and Kinross; she may have also had some Irish ancestry. John was the son of James Ross and Christina Tullock. He looks like an Paleoatlantid and could pass anywhere in Britain or Ireland. But he could also pass in the Middle East. He could easily pass as Scottish/Irish, which he’s. You’re so low IQ and live in a sheltered world. Legend. Strong, straight and charismatic. A world away from the bland, ultra-liberal Ewan McGregor types we produce now. Sean’s son Jason Connery is an actor. Also Neil Connery (his brother) acted.